Andrew Dixon started dancing at 4th Street at the age of two and not only continued through his senior year, but continued dancing and competing one more year as a "Super Senior" because of his love of dance. He competed in tap, jazz, lyrical and hip hop. Since graduating, he danced in an adult tap and jazz competitive class here at 4th Street Dance Centre. 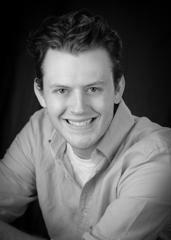 Andrew has specialized in hip hop over the last few years and is assisting our All Boy Hip Hop classes.